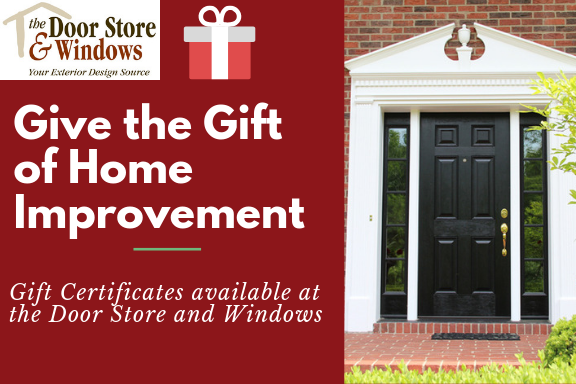 A Door Store and Windows gift certificate is the perfect way to simplify your gift giving while pleasing even the most selective person. Our gift certificates are available in any amount, whether you wish to help out a little or pay for the whole project, this is the gift that always fits! 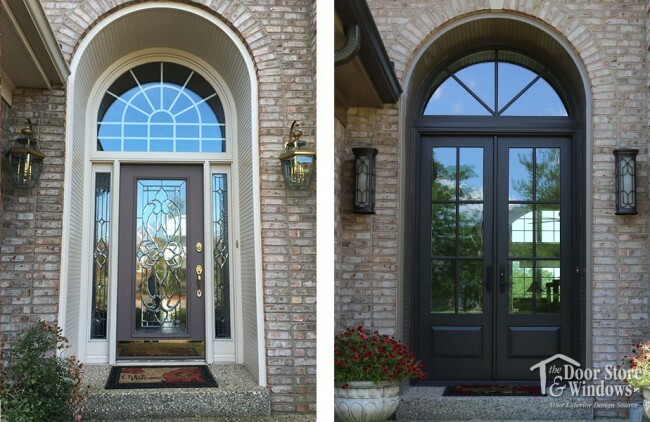 There’s no better way to improve energy efficiency and increase curb appeal and security than with new doors and windows. 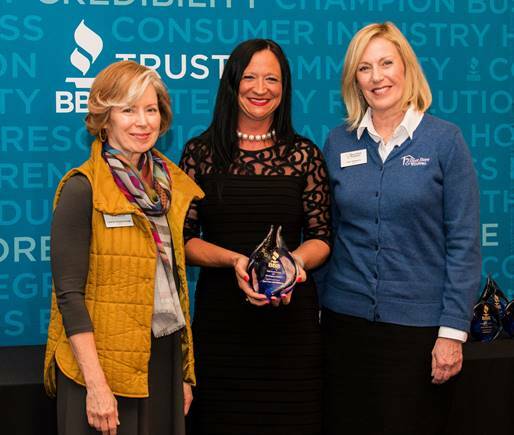 We are so excited and thankful to have recently won a 2018 Better Business Bureau Torch Award in the Small Business category! 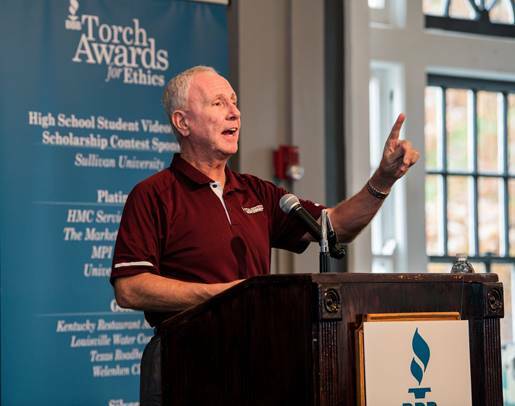 The BBB Torch Awards recognize businesses who follow a strict code of ethics in all lines of business creating an exemplary experience for customers, employees and partners. 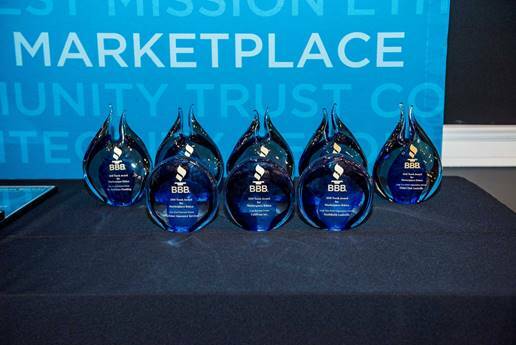 Each of the beautiful BBB Torch Awards displayed before the ceremony. We strive to be 100% transparent and honest with our customers and everyone we work with. 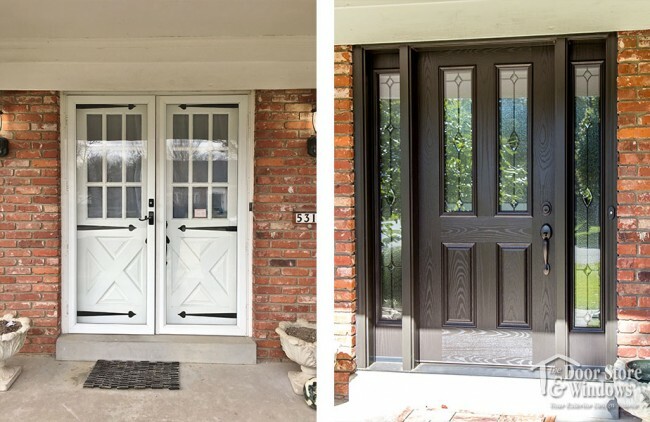 We do this by creating outstanding customer experiences using quality products and proven installation techniques and offering superior knowledge and service. This has been our mission all along and with the help of our employees we developed complimentary core values found here that represent TDSW perfectly. We felt it important to give our employees a say in the values they are required to adhere to and help us paint a more complete picture of what our company is really all about. A list of these values is placed in our showroom, on each employee’s desk and in each installation vehicle. Following this mission and adhering to these core values allows us to conduct business as ethically as possible. It’s this mission and value statement along with a review of other business practices that earned us this prestigious award. Our employees are proud to work for a company where they feel heard and respected, selling a product and service they believe in. 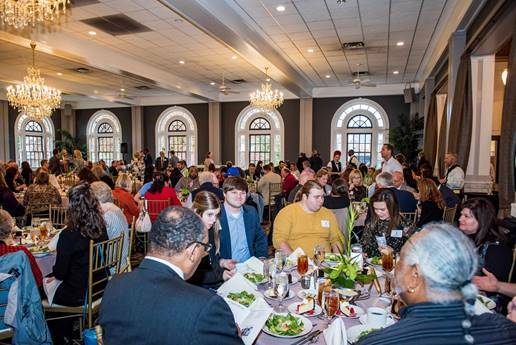 All of the winners and their guests mingling before the award ceremony began. 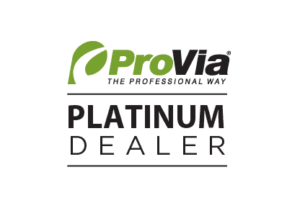 This employee pride translates seamlessly into customer service and satisfaction in all aspects of business. 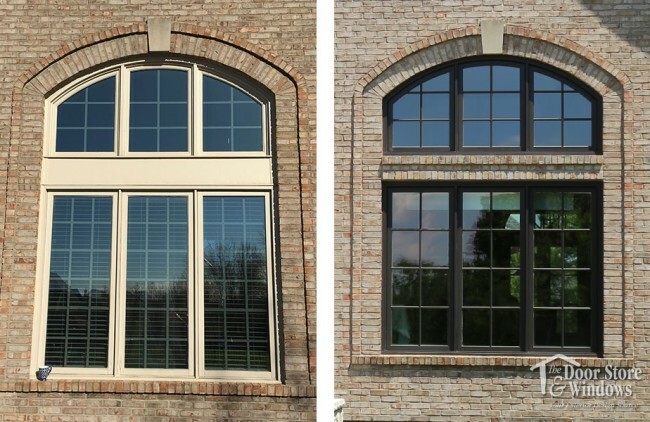 From the beginning stages of the process to installation of product, our team is ready to help every step of the way. Our employees work directly with customers, sometimes in customers’ homes. It is imperative that they feel comfortable with our team. 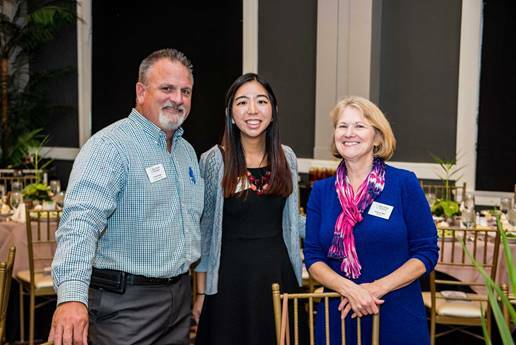 Left to Right: TDSW Installation Manager, Craig Rowe; TDSW Marketing Coordinator, Jane Rudnick; and TDSW Controller, Virginia Bell. Thank you to our employees for their hard work and dedication which helped to earn us this honor, and thank you to our community for trusting us as Louisville’s window and door experts! Left to Right: TDSW Co-Owner, Laurie Scharborough; BBB President/CEO, Reanna Smith-Hamblin; and TDSW Co-Owner Ann Gregory. https://doorstoreandwindows.com/wp-content/uploads/2018/11/image015.jpg 435 514 admin https://doorstoreandwindows.com/wp-content/uploads/2017/11/Transparency-Logo-2-300x181.png admin2018-11-19 14:14:192018-11-19 19:17:10We Are the Proud Recipients of the 2018 Better Business Bureau Torch Award!